Cape Town - Former Proteas wicketkeeper Ray Jennings has responded on the readiness of Thami Tsolekile for the SA 'keeper role, after remarks from former Test bowler Makhaya Ntini flared up racial tensions. 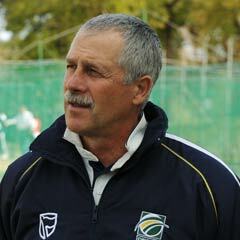 Speaking on Graeme Joffe's Sportsfire show on Radio Today, Jennings said he disagreed with Ntini. Ntini, a former Proteas star, raised eyebrows last weekend when he claimed Tsolekile "would be playing for the Proteas if he was white", but Jennings believed there were other reasons for Tsolekile's exclusion. “AB is an established player and Thami has only played two Tests, and hasn’t played since 2005, so I'm not too sure they would have the guts to play Thami,” Jennings said. But Jennings said he believed Tsolekile would soon be given a chance in the Proteas side. “Thami deserves it. He’s played well over the last three years, he’s averaged over 40 with the bat and he’s the best glove-man in the country at the moment," Jennings said.